Dr. Hanna-Attisha will visit the College of Public Health in March 2019 for several events. CPH students will receive a free copy of the book from their department or program — check with your department for details! CPH faculty and staff are invited to borrow a copy of the book from the college for a two-week period. Email cph-communications@uiowa.edu to request a book loan or stop by S173 CPHB to pick up a copy. 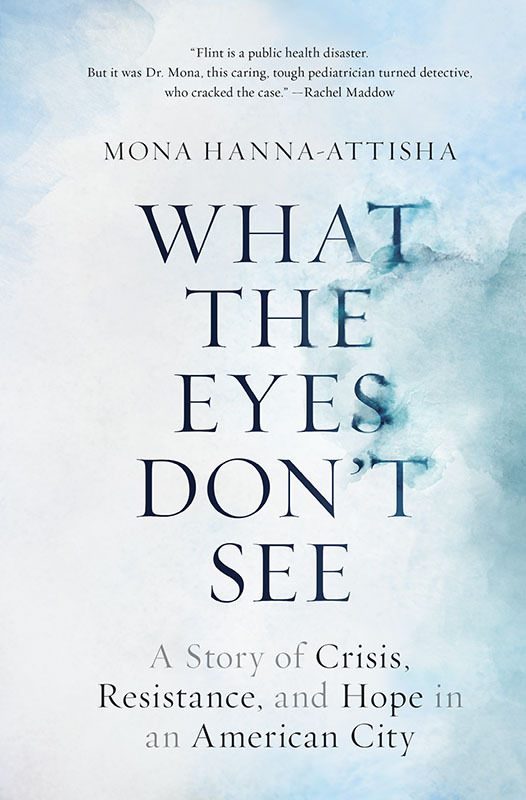 WHAT THE EYES DON’T SEE the inspiring story of how Dr. Mona Hanna-Attisha, alongside a team of researchers, parents, friends, and community leaders, discovered that the children of Flint, Michigan, were being exposed to lead in their tap water—and then battled her own government and a brutal backlash to expose that truth to the world. Paced like a scientific thriller, What the Eyes Don’t See reveals how misguided austerity policies, broken democracy, and callous bureaucratic indifference placed an entire city at risk. And at the center of the story is Dr. Mona herself—an immigrant, doctor, scientist, and mother whose family’s activist roots inspired her pursuit of justice. founding donor of the Flint Child Health and Development Fund (flintkids.org). 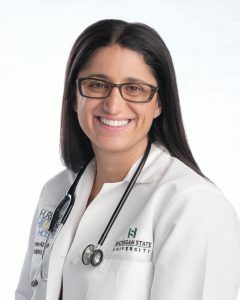 Dr. Hanna-Attisha received her bachelor’s and Master of Public Health degrees from the University of Michigan and her medical degree from Michigan State University College of Human Medicine. She completed her residency at Children’s Hospital of Michigan in Detroit, where she was chief resident. She is currently an associate professor of pediatrics and human development at Michigan State University College of Human Medicine.